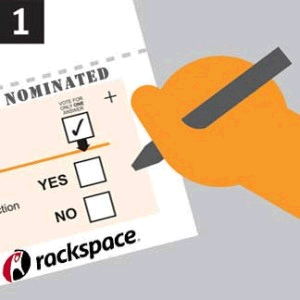 RackSpace Commands Best Cloud Provider Spot by Forrester Research. After reading about this it seemed like a great idea that our SEO Automation Platform is using RackSpace! Rackspace finds place as one of the Best Cloud Provider by Forrester Research Inc.
"Rackspace attain highest scores among eight (8) other contenders in planned enhancements and third party eco-system areas." Today’s Internet service is way important. When it comes to a company’s Internet presence although it seems that a web site can be created by just about anyone and there are providers galore, when a web site goes dark it is almost as bad back in the day when phone service went out. Years ago (and still today) phone companies created systems that became known as ‘telephone quality’ meaning that a phone company’s systems carrying telephone calls had so many redundancies and were built so well that they just didn’t fail. If systems did fail there were backups that auto switched over so the end use never knew there were issues and the phone service stayed up. In many ways our SEO Automation Platforms are like this. We run on a strong cloud powered platform like RackSpace – in fact the best according to Forrester. Our layers of applications are thousands of applications all working together to deliver measurable results. That’s why our overall content marketing platforms are so effective. Today phones have switched to the Internet and cloud service is the way to go. Using a cloud means software as a service for applications that were once unheard of but the most important thing about cloud is the speed of updates. As your vendor comes up with new features – those features become part of the fabric of new ways of running your business. It’s no mistake that OneBigBroadcast’s SEO Automation Platform needs to run on a platform that stays up all the time. Companies that use our platform depend on it for powering their search position, auto inventories, ecommerce to food production and communication with food producers. We are proud to have based the development of our Content Marketing Platforms and our SEO Automation Tools on a great platform like RackSpace.